Our scramble nets are carefully hand made to our customers specifications. 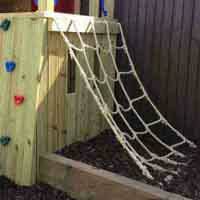 We can make scramble nets using a variety of rope and mesh sizes. 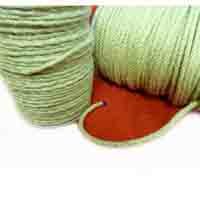 The most popular rope for gym scramble nets is a marine grade 16mm Hardy Hemp that is soft to the touch, won't shed fibres, is hard wearing and long lasting. We can also finish the scramble nets in a variety of ways. Some scramble nets have a solid border, whilst other scramble nets have eyes spliced in or loose tails to be threaded and tied. 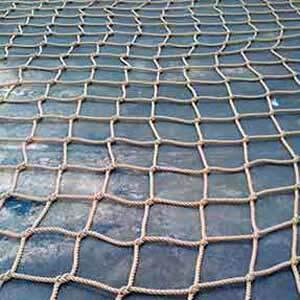 Give us a call on 01626 906198 to discuss your scramble net requirements.